Staff Planning Software – Say hello to Modern Technology! Confronted with an unmatched level of competition, uncertainty and emerging risks, lack of technological integration between various business departments can have a significant impact on the operational efficiency of organizations. With the progressive evolution and expansion of business processes and the spread of critical information over different frameworks, organizations frequently become overpowered with the administration and management of this overwhelming data and its effective application to significant business strategies. Needles to say, staff planning is one of the most critical tasks for businesses to handle. Creating employee schedules has never been an easy task, especially in a business environment where work shift are dynamic, and where work operations of employees vary from week to week depending upon the nature of the business such as creating weekly staff rotation. Depending upon the size of your business, the complexity and nature of shift patterns, it takes about seven to eight hours per week putting together schedules and tasks if your business still relies on old methods of staff planning. If you're managing a business that employs shift workers, you need an efficient scheduler to communicate and coordinate with your workforce. 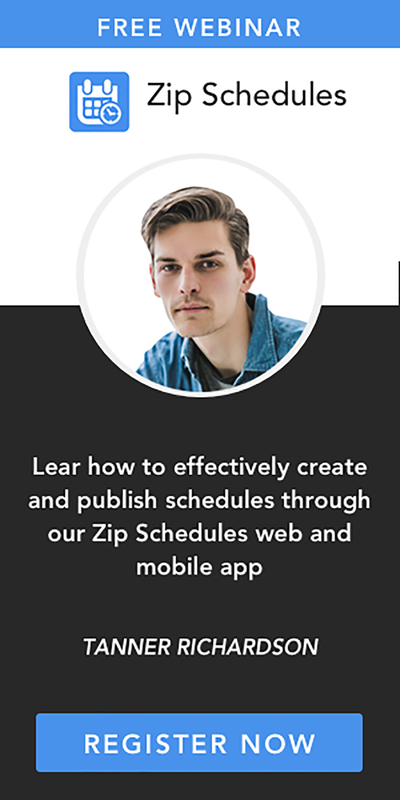 The Zip Schedules scheduler makes it easy for you to communicate schedules to your employees in a simple and straight forward manner. Using this scheduler, you won't need to wait for long hours to begin scheduling. You'll be able to create your first schedule right after downloading the staff planning app. 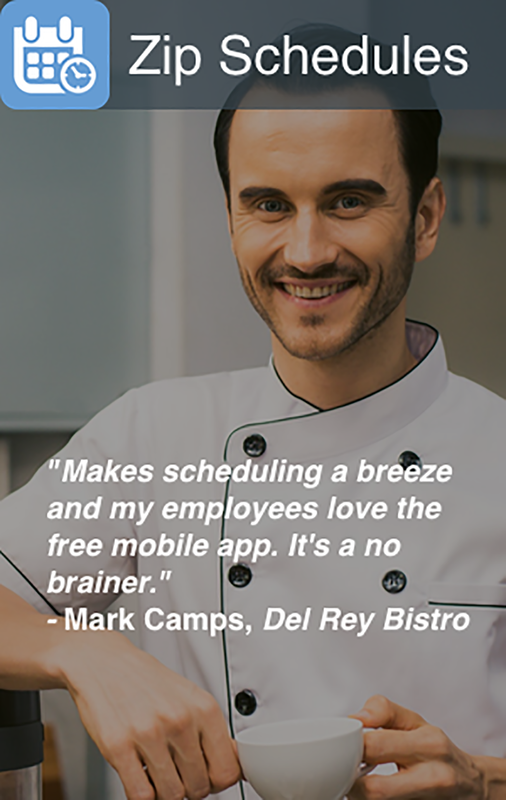 The web based scheduler includes built in compliances for labor laws making employee scheduling easy for you whilst at the same time helping you minimize your costs and boost your profits.